No matter how much you tweak the account settings, Google just doesn’t stop acting like our snoopy neighbor who keeps track of our each and every activity. Just like Google’s other useful apps and tools even Google Maps records your location history regardless of whether you have used the navigation or not. If you don’t open the application in a month the app still maintains your timeline which includes all the recent places where you visited. What if you wish to delete all your previous track records from your Smartphone? What if you don’t want your friends to snoop into your privacy? Well, don’t panic! We have a quick solution. Whether you’re using Google Maps on Android or iOS the flow of steps remain pretty much same. Here is what you need to do! Launch Google Maps on your Smartphone. Now to open settings menu, tap on the three horizontal bar icon in the search bar. Once the menu appears, select “Your Timeline”. Now a new window will appear including all recent places you visited. The top most section contains a map view followed by a list view below it. If you wish to view or edit any of the individual entry simple tap on it to see a detailed view. From here, you can edit an individual entry by tapping the “Edit” button, which allows you to change the respective time and specify the exact location if it’s not accurate. In case you wish to delete any entry, simply tap on the trash icon that appears on the top right corner of the screen. To completely remove it permanently, select the “Remove” option from pop up dialog. How To Stop Google From Tracking Your Location At All? Deleting individual entries one by one can be a tedious task. 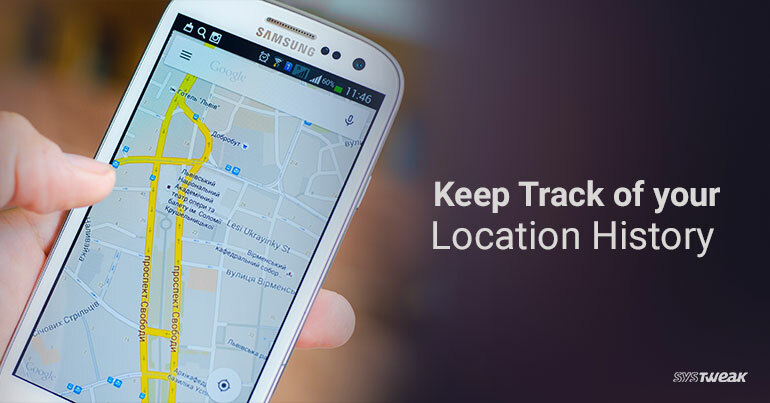 There is an easy way out as well which allows you to stop Google from tracking down your location history. Head on to your timeline (Explained in the above section) and tap on the three dots icon to open Timeline Settings. Scroll down below until you find “Location History is turned ON” and toggle this switch. If you’re using Google maps on various devices, you can individually manage the settings and customize it as per your requirement. Head on to Timeline Settings. Scroll down and select “Delete All Location History”. A pop up confirmation box will appear on the screen. Read the warnings carefully, if you further wish to delete check on the box “I understand and want to delete” and tap on Delete. That’s it folks! Your Google Maps app is now safe and secure. Now you can easily manage your account settings and customize it just the way you like it.